Our staff will share regular entries of commentary, descriptions and events which will allow you to get to know us better. Valentine's Day is on February 14th and we have been looking at lots of ideas for a Valentine's Themed Party, whether it is in a restaurant, club or a private party. Valentine's Decorations are the perfect way to create the atmosphere of a Valentine's Party and Valentine's Balloons not only add to the decorations but make an ideal present as well as a room filled surprise. Please let us know what your Valentine's plans are and if you are a hopeless romantic. With the party season now in full flow it is not too late to order any last minute Christmas Party Supplies or New Years Eve Party Goods whch add to the atmosphere of any party. We have great Christmas Party Ideas which include Red Felt Santa Hats, Christmas Party Packs and Christmas Crackers as well as everything you would need for a New Years Eve Party to remember. We would love to hear how you are celebrating this year and how all your plans are going. Seeing an early Christmas Office Party in I'm A Celebrity Get Me Out Of Here last night has now got us all looking toward to our Christmas Parties. We enjoyed watching them wearing Santa Hats and having Christmas Crackers and seeing all the Tinsel Decorations. We have been looking at Christmas Party Ideas and how to get the party going with Party Packs, Noisemakers and Christmas Hats. We would love to hear about your previous Office Do's and what you are planning fpr this year. Thanksgiving is on 27th November and is the perfect day to spend celebrating with families and friends enjoying a special turkey meal. Using USA Themed Party Products is a great way to enjoy Thanksgiving especially if you are having a Thanksgiving Themed Party. USA Decorations such as Bunting and Flags are ideal and our Inflatable Turkey Leg and Turkey Hat are really popular. We would love to hear about how you are celebrating Thanksgiving this year. The excitement of New Years Eve will soon be upon us as the party preparations begin. 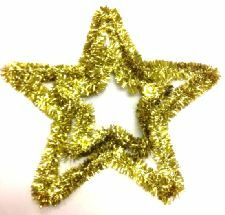 Everybody likes to make an effort for a New Years Eve Party abd we would love to know what you are planning this year. 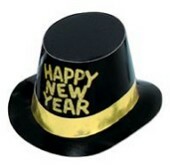 New Years Eve Party Packs and Happy New Year Hats are always a popular choice of New Years Eve Party Stuff to add atmosphere to your celebrations. We have lots of New Years Eve Party Ideas to help you plan your perfect party from colour themes to masquerade parties and not forgetting the all important Party Poppers to see in 2015.